Thanks for making our 2018 Festival of Trees a success! 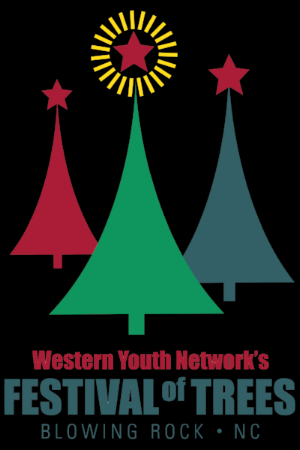 We raised over $46,000 for Western Youth Network programs! The Festival of Trees is an annual event that is sure to please all who walk through the door! Over 75 themed trees & wreaths will be on display. All money raised goes directly to Western Youth Network. When you come to The Festival of Trees you can buy a fully decorated tree for your home, just come to Chetola and bid. All money raised goes directly to WYN. WYN invests in the lives of children and adolescents in order to build a better future and a stronger community for the High Country. Who can be a tree designer? Anyone! If you want to make a difference in your community and showcase your creativity this is the perfect opportunity! Option: Naming of VIP "Festival First Look" Designer event. Please consider a meaningful sponsorship for this meaningful program.